The relocation process itself won praise from Carey McWilliams, a contemporary leftist critic (and future editor of the Nation magazine), for taking place "without a hitch." 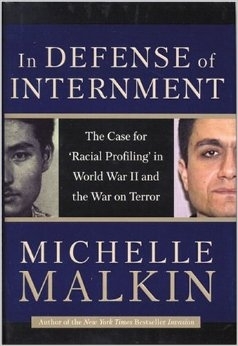 Dec. 28, 2004 addendum: For other aspects of this topic, the controversy raised by this article, and my reaction, see "The Japanese Internment, CAIR, and Me." July 19, 2005 update: I tell the story today, at "[The Canadian Islamic Congress:] An Islamist Apology," of how I won a retraction and monetary penalty from the Canadian Islamic Congress for its inaccurate depiction of my position in the above article vis-à-vis the interning of Muslims. 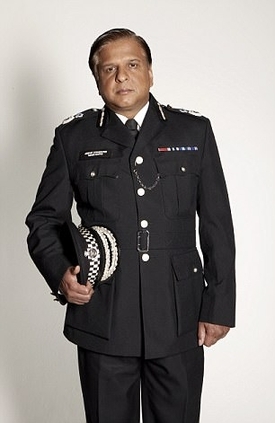 Ex-Scotland Yard assistant commissioner Tarique Ghaffur. May 27, 2017 update: (1) Has Tarique Ghaffur, a Muslim and former assistant commissioner at Scotland Yard, put this discussion into play? His article in the Daily Mail, "Imams must issue a fatwa against Muslim radicals," advocates creating internment centers for known potential jihadis. We face an unprecedented terrorist threat in Britain – about 3,000 extremists are subjects of interest to MI5 and police, and about 500 plots are being monitored. Add more than 400 jihadis who have returned from Syria and you realise the numbers are way too many for the security services and police to monitor. The atrocities of Manchester and Westminster have shown that ordinary surveillance, monitoring and tagging are not working. The time has come to set up special centres to detain these 3,000 extremists. ... I know many will oppose these centres as oppressive. But the threat we face from terrorism is unprecedented and if we do not take bold steps now we will not be able to prevent future attacks. Comment: Will Ghaffur be vilified and ignored or has the mood changed sufficiently for his proposal to be seriously discussed? (2) Coincidentally, The Times (London) reports today that the 3,000 figure are the ones "judged to pose a threat and are under investigation or active monitoring in 500 operations being run by police and intelligence services. The 20,000 others have featured in previous inquiries and are categorised as posing a 'residual risk'." So, the number is yet much larger – and completely beyond the security services to keep track off. What alternative to internment might there be? 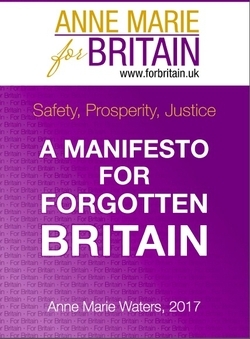 July 2, 2017 update: Anne-Marie Waters has published her Manifesto for Forgotten Britain, a document that sets out her views in anticipation of the United Kingdom Independence Party (UKIP) conference on Sep. 29. In it, she includes this plank: "Commit to the internment of known jihadis and the deportation of non-British citizens engaged in any Islam-related criminal act."